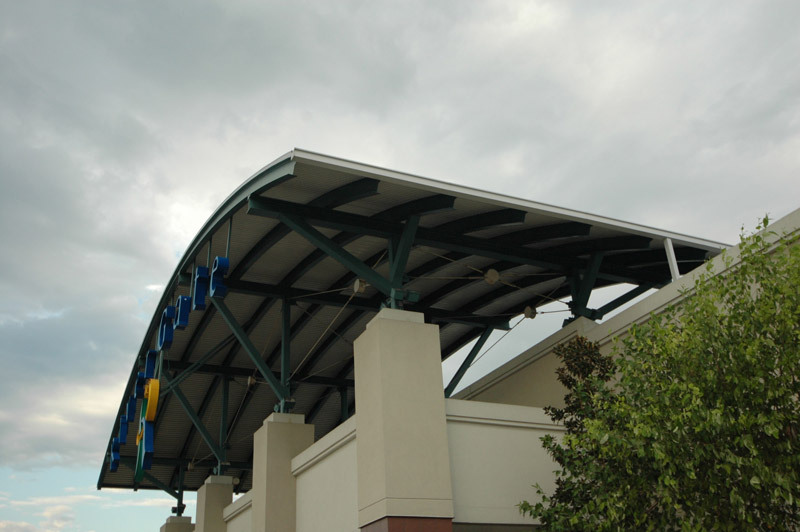 Ornamental Canopies | Tate Ornamental, Inc.
Tate Ornamental, Inc. has an eye for detail that will enhance any building. 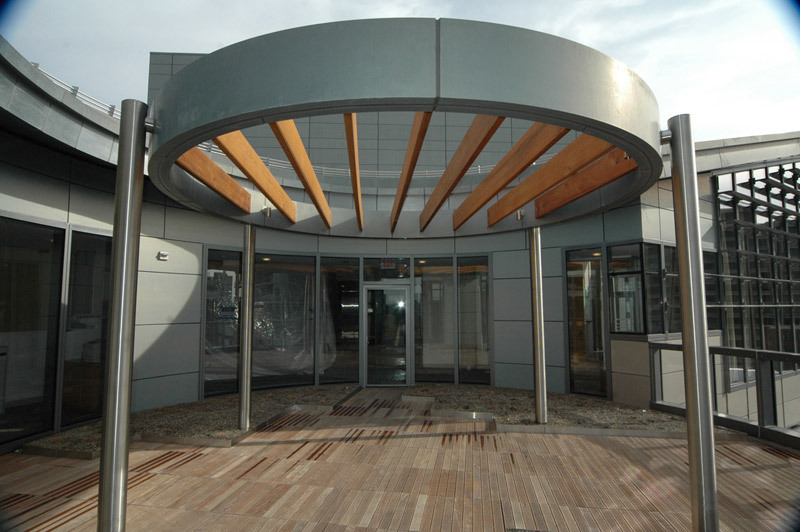 We look forward to the more difficult and challenging projects such as working with metals with unique twists, designs and shapes. 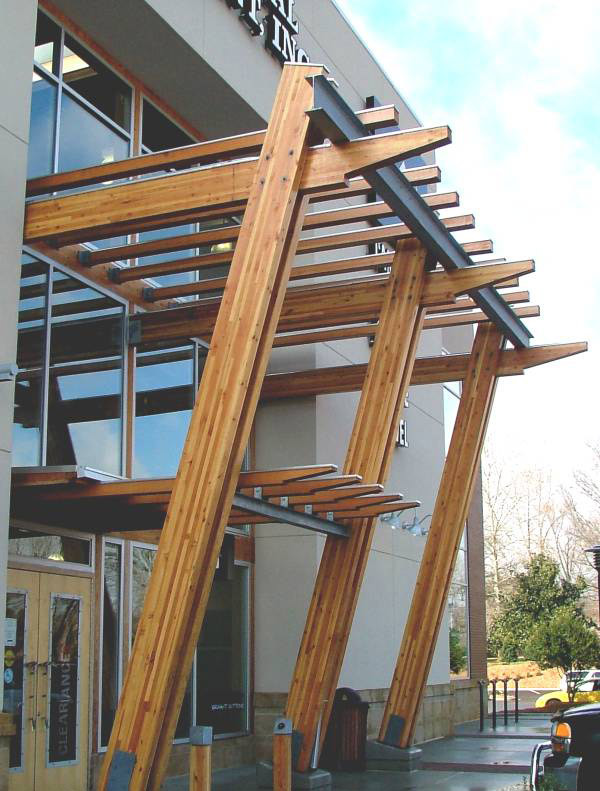 Our team is considered craftsmen and artists who posses a specialized skill that is required to complete these extraordinary projects. 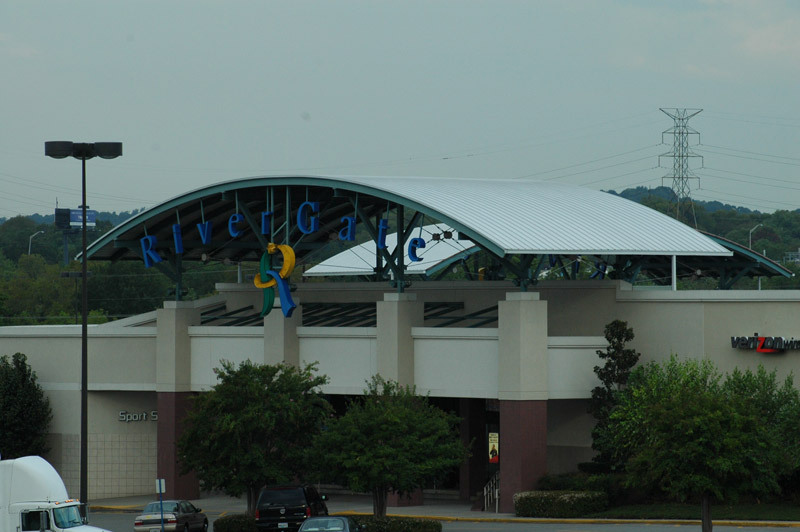 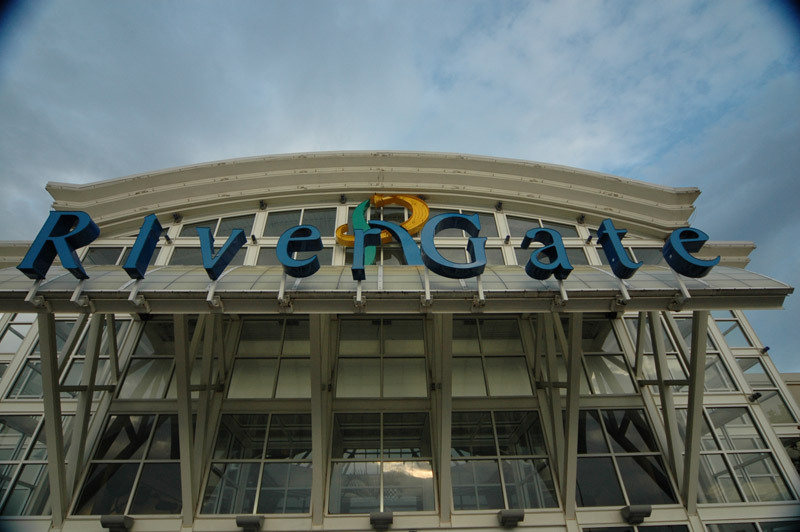 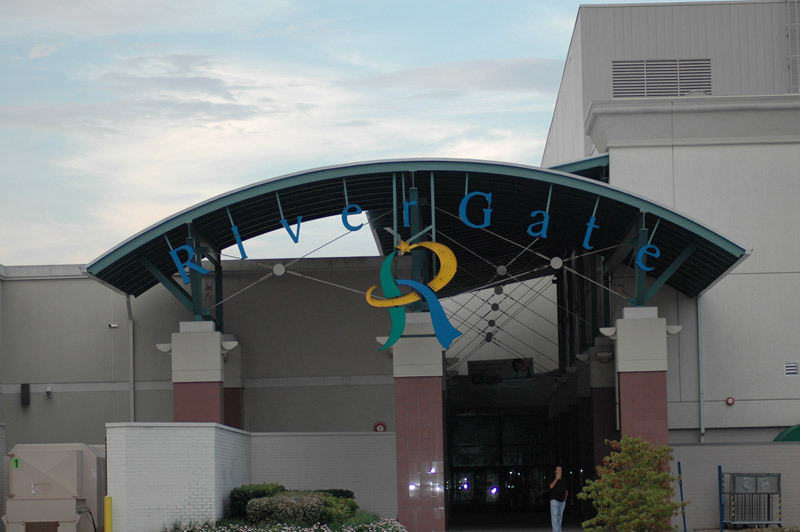 We created three entrance canopies for the Rivergate Mall. 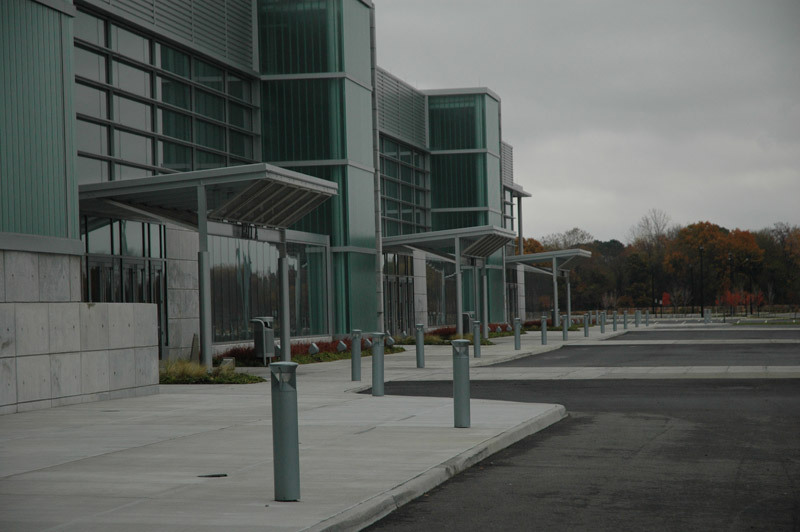 The canopies were constructed out of steel and offered architectural features such as radiused, cell-decks, exposed structures, tie rods, turnbuckles, clevises, skylight, glass panels and transparent roof panels. 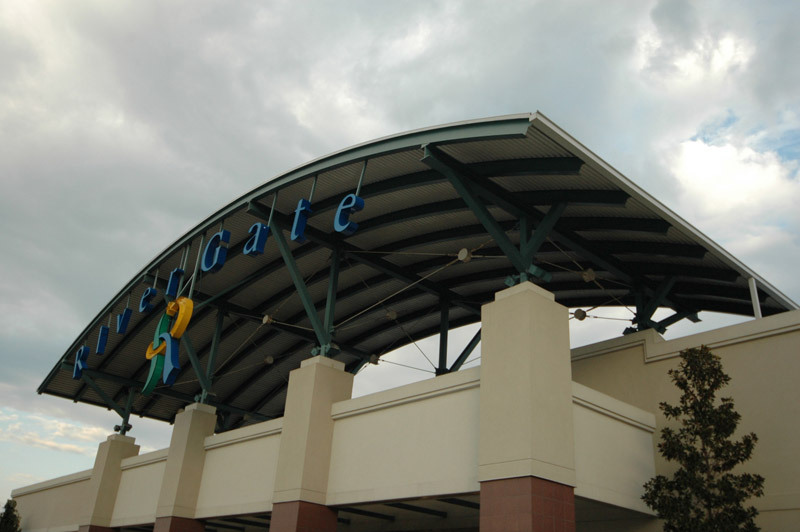 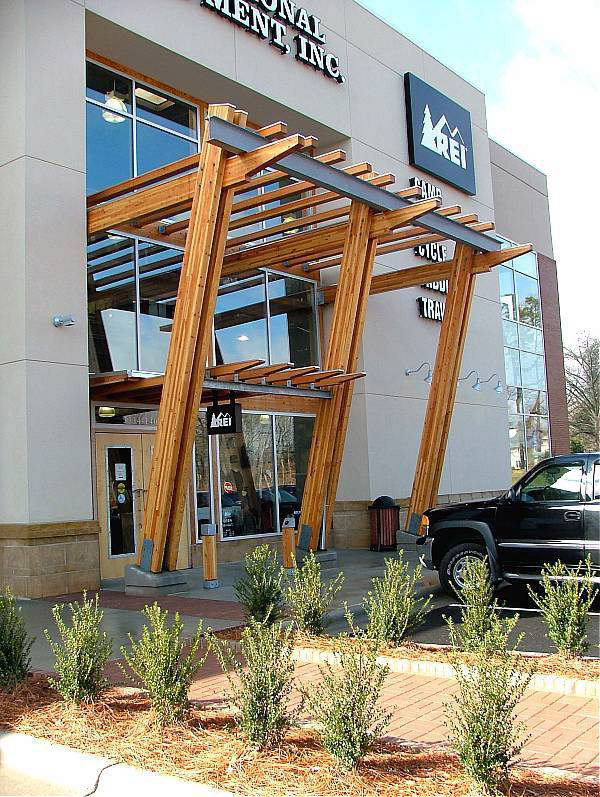 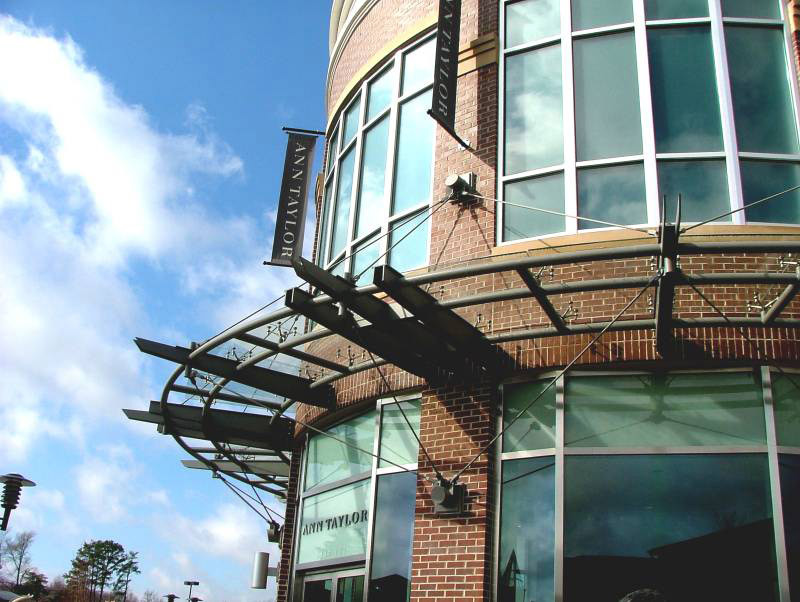 The exposed steel and wood canopies we fabricated for this outdoor shopping center include a radius design with laminated glass suspended with stainless steel spider fittings. 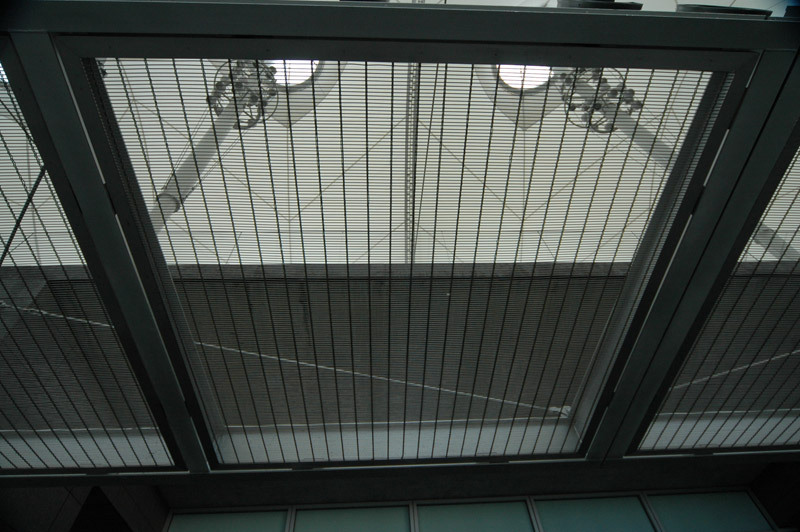 It includes cable tie-backs to the brick, adjustable turn buckles, decorative rod supports and connections. 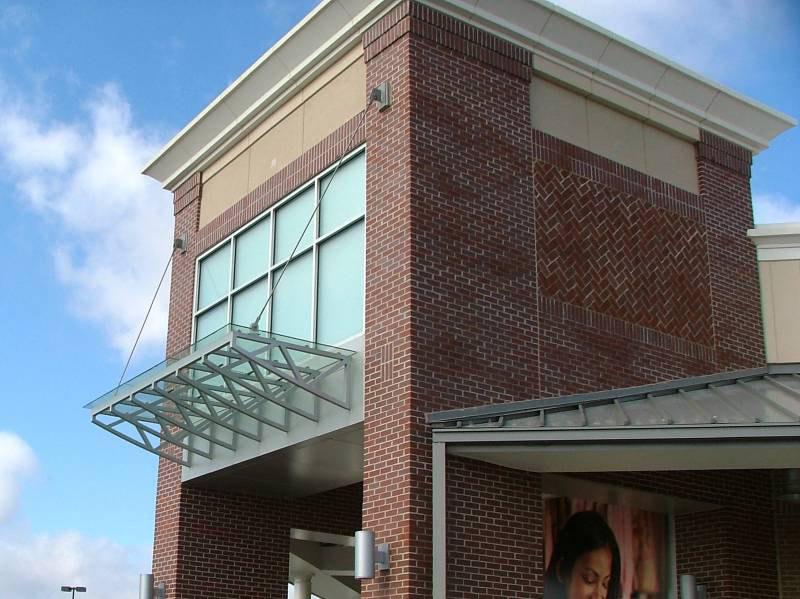 We use Kynar paint on the metal canopy and glue laminated beams on the trellis. 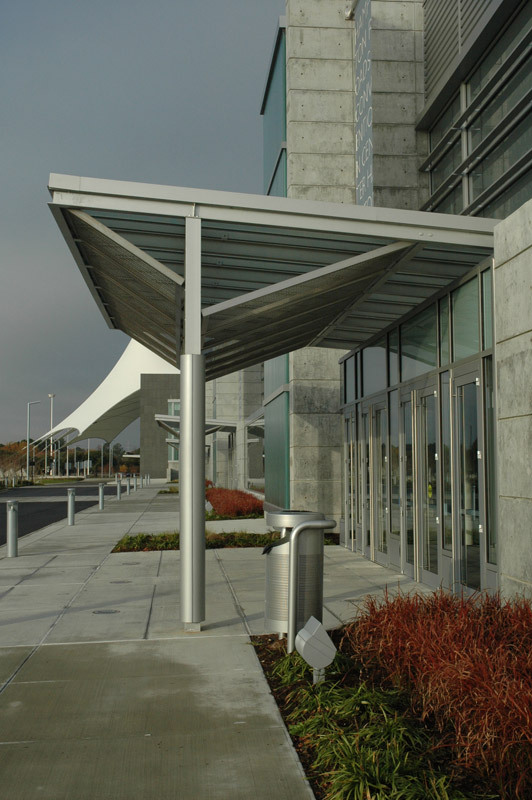 This free-standing stainless steel and ipe wood beam canopy is a galvanized structure with stainless steel cladding offering a very unique open design. 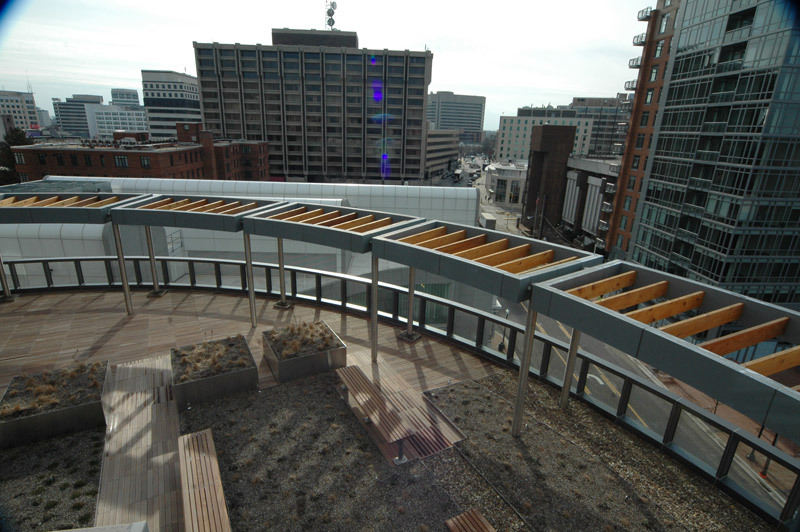 We used multiple shapes and sizes in the metals used. 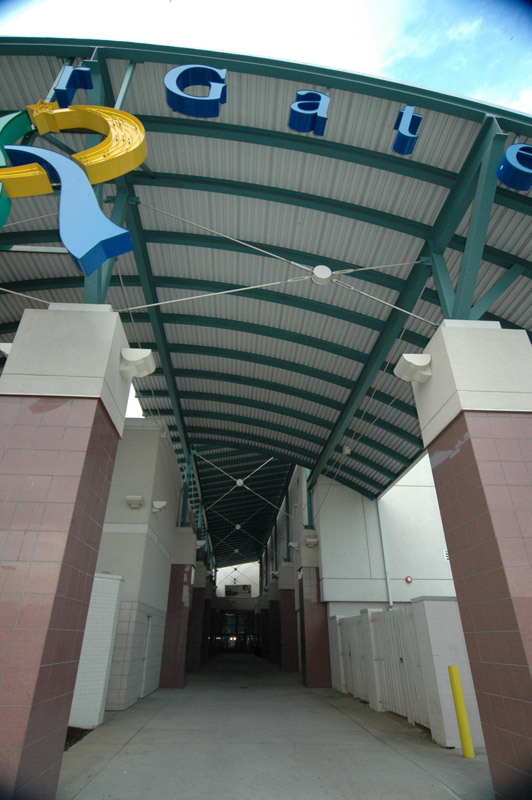 This structure has welded jointery and is water tight. 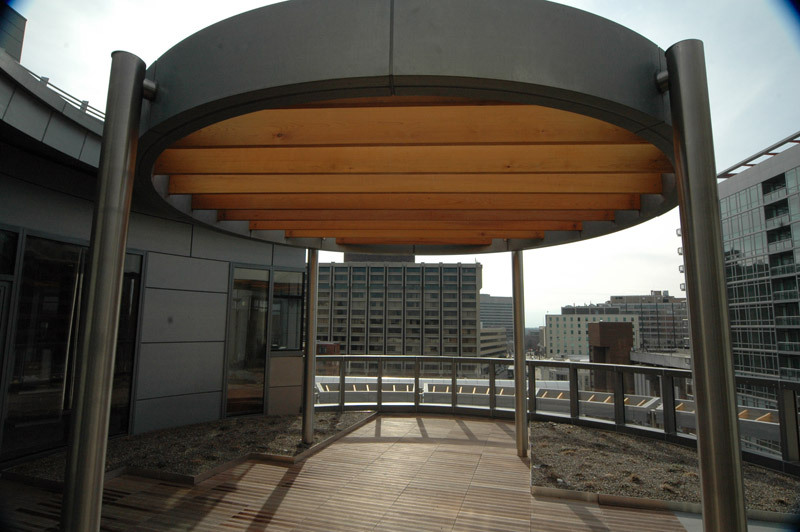 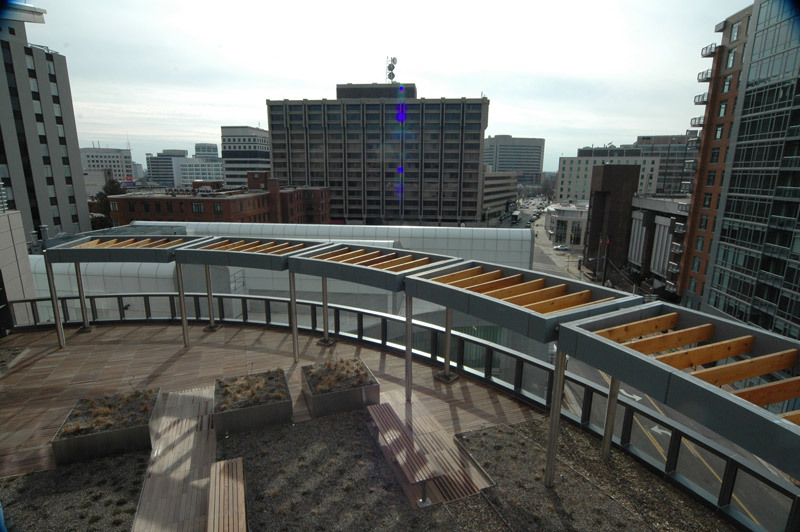 The materials used on these canopies were built using a rust free product. 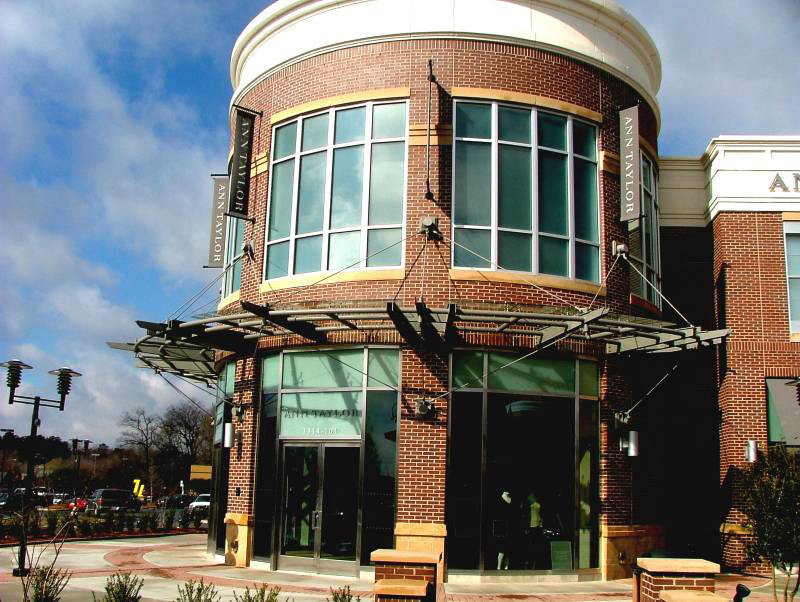 Architect: Schick Goldstein Architects, P.C. 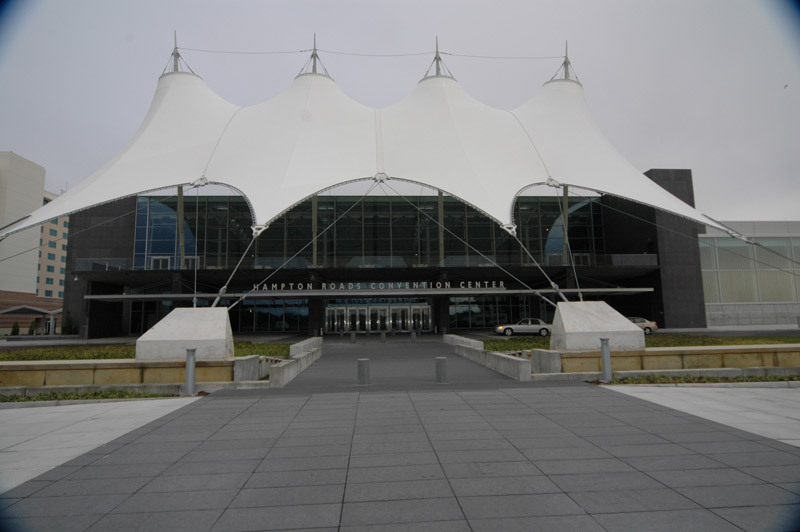 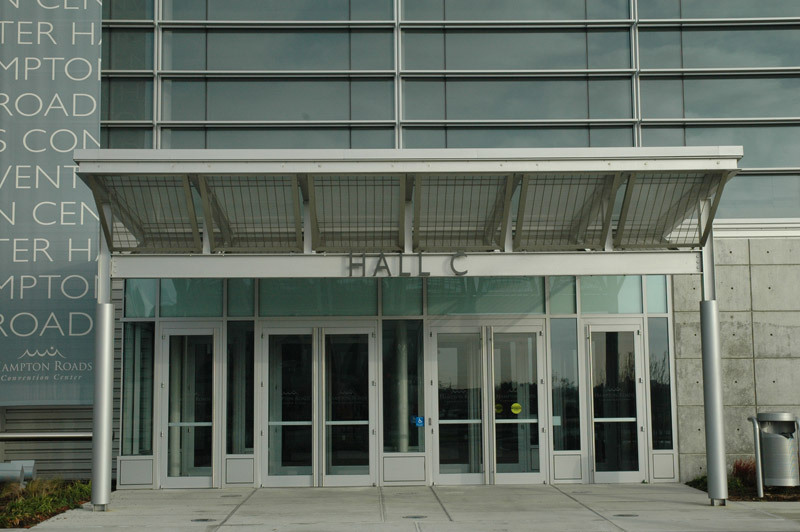 The convention center canopies were made from solid stainless steel angle frames with GKD architectural wire mesh fabric. 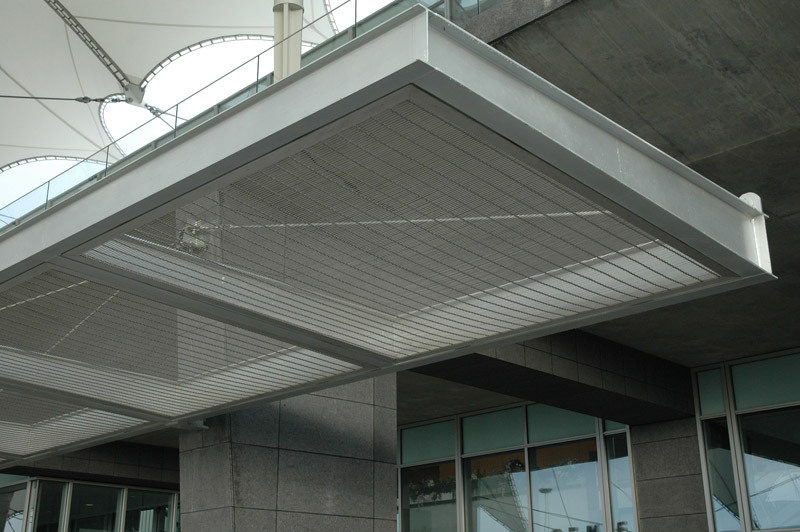 The GKD material is a woven metal stainless steel wire fabric with stainless steel fasteners and connections. 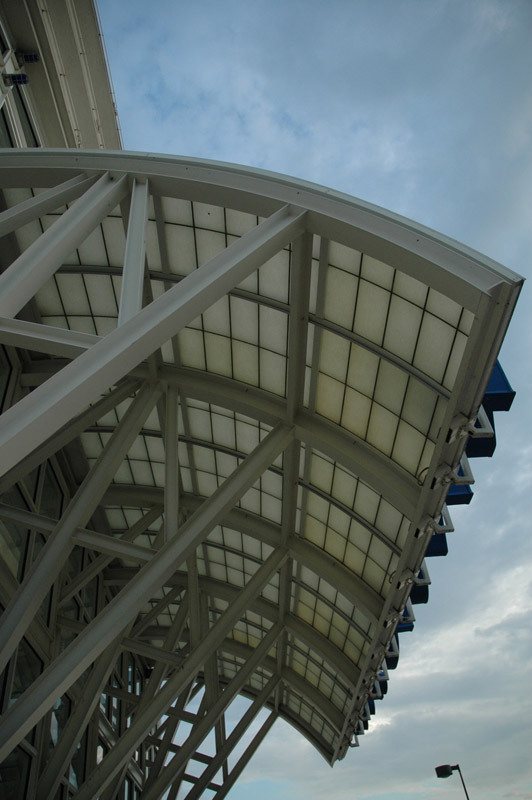 All materials used on this structure are ideal for salt water environments because they are corrosion resistant.